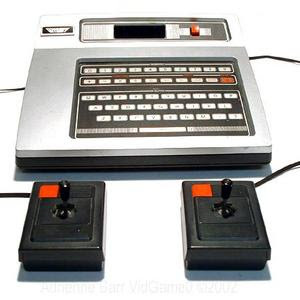 We are now tracking prices for Odyssey 2 games and the Odyssey 2 console. We have about 50 items in the Odyssey price list and almost all of them have prices so far, but more prices will be added as soon as we find them. As always let us know if you don't see a particular Odyssey game that you think we should add. May 3rd has come and gone, the Halo Reach Beta has launched (which we've played extensively), and Halo 3 ODST has decided not to increase in value. That's right, our prediction about Halo 3 ODST was incorrect. Back in February we made a prediction that Halo 3 ODST would increase in value leading up to the Halo Reach Beta because people would want to try it out, and owning ODST was the easiest way to get in the Beta. As it turns out, everyone interested in the Beta must have already purchased ODST back when it released in 2009. As you can see here ODST now holds a value of $28. It was $31 back in February. That's a decrease of $3. So there you have it. As for the Halo Reach Beta, if you have any specific questions about it, please post them in the comments below. I will do my best to answer any questions you guys may have. As I mentioned in an earlier post, a reader on VGPC found a NBA 2 Ball demo disc for the original Playstation 1. This is only the fourth disc known to exist! The game was given out at the 1998 NBA All Star game as part of the festivities. Some sites have claimed that 500 to 1,000 copies were given out but so far only four are known to exist. Two of which have black sleeves and two of which have white sleeves. The reader who has this game (and is selling it on ebay right now) bought it from a friend for $5. The friend's father received the PS1 demo disc by winning the slam dunk contest at the NBA All-star game fan festivities. This version is a white sleeve and the only other white sleeve is owned by one of the programmers of the game. The other two black sleeve copies are owned by the same game collector, Jason Dvorak. How many are NBA 2 Ball Discs Are There? The big question for any collector interested in this item is "how many are there really?" If thousands of copies were given out at the game there would probably be more than four verified to still exist. So maybe only a few of the games were given out to people and the item is really rare. Or there are hundreds of these discs in people's PS1 game collections just waiting to hit the market and the price will plummet. I'm sure a few more copies will surface after this auction closes (like they always do), but how many? If you think only a few exist than the $320 current bid is probably a bargain. But if thousands exist the game is probably only worth $15-20.